Share a whole new world with Aladdin and Jasmine! 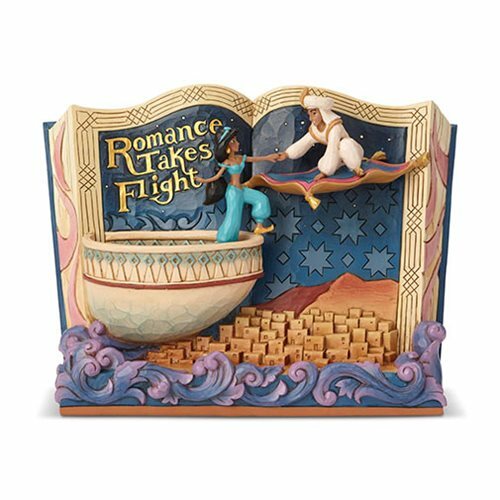 The Disney Traditions Aladdin Romance Takes Flight Storybook Statue by Jim Shore features the iconic scene, as they embark on a magic carpet ride and fall in love among the stars. Treasure their romantic tale with this splendid storybook designed by Jim Shore. 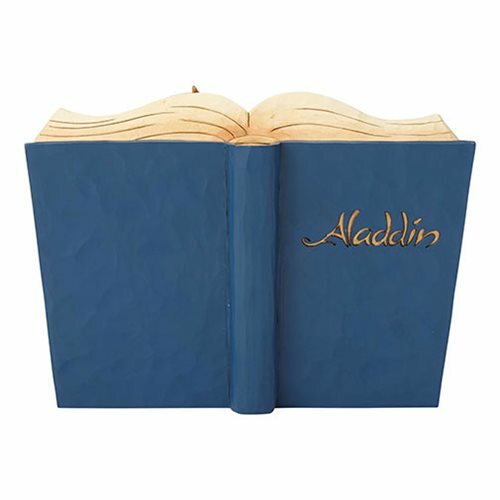 The stone resin storybook statue is a must have for Disney fans! Measures about 8-inches long x 5 7/10-inches tall x 2 7/10-inches wide.